Lois was stunned. She cowered on the chilly floor without feeling the cold. She stared in the direction of the door through which Clark's dead body had just been dragged without seeing it. She didn't perceive anything at all. Not her own voice, hoarse from screaming, not the pitiful looks she drew from other patrons, not her tears streaming down her face. There was only emptiness. A vast emptiness which encompassed her and gave only room for one thought: "Clark!" Oh, God, no! Again she screamed his name, but finally the cold and brutal truth hit her: Clark was dead. Shot to death. Gone. Lost. Forever. Lois burrowed her face in her hands and collapsed onto the floor. She wept so hard she could barely breath any more, her thoughts crying ceaselessly "No, no!" and her body trembling in a massive spasm she could never again escape from. Lois didn't register the mounting noise engulfing her, the music starting to play again or the crowd beginning to move again. No one cared about the sobbing woman in the red dress, obviously working herself into a fit. No one paid the hysterically crying Lois any attention except an elderly well dressed man with an intellectual air. Thinking "This poor girl must really have loved the shot man," he knelt to ask if he could be of help. The sudden contact of his large warm hand on her shoulder startled Lois. She gazed at the stranger with large tear-streaked eyes, paused for a moment that felt like an eternity, then bolted to her feet and fled from the gambling den. The need for fresh air and the overwhelming desire to just get out of that godforsaken place quickened Lois' feet. She ran and ran until she couldn't go any farther, her heart beating in her breast so hard it felt like it was going to burst and her breath coming in gasps. Just to keep from falling again, she forced herself to keep walking, slumping against house-walls now and then as she went. Thus the once so determined Lois Lane roamed the wet and deserted streets without realizing where she was or where she was going. Her only thoughts were "Clark", "dead" and "NO!". These three words became so all encompassing she couldn't stand it any more. She stopped where she was and pressed her hands against her temples as if she could squeeze the cruel thoughts out of existence. Like a dam finally bursting, she screamed the words into the black sky as if they could still reach Clark on his way to the heavens: "Clark! Come back! Clark! Please!!! I love you! Damn! Why was I so stupid? Why didn't I tell you? I've known it for so long! 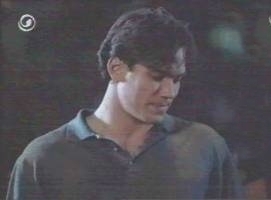 Clark, come back to me..."
Her voice failed her on those last words and she collapsed on the wet street. After the gangsters’ car had sped with squealing tires around the corner, Clark arose from the garbage dump he had been dropped into by the gangsters and cleaned his attire. At the same moment, his consciousness warned him that it would not be prudent to be seen as Clark Kent who had just been shot dead in front of several eyewitnesses. Checking to see if the street was really deserted, he spun into his Superman outfit and tried to make sense of his thoughts. What the heck had just happened? To keep from blowing his cover, his only option in the milliseconds following Clyde Barrow’s shots had been to play possum and fake death. He could of course hold his breath long enough to play the corpse convincingly. Another matter was to keep a tight rein on his emotions and not to move a muscle when Lois threw herself with an inarticulate shout of despair and denial onto his body. Oh, God, Lois! He had loved her for so long. The certainty had grown deeper each day from the moment he first met her. Her pleas almost broke his heart as she crouched over his body calling out his name. He felt her hand on his lips as intensive as any kiss he had ever tasted, it was so tender and caring he almost couldn't bear it any more to feign his own death. He longed to take her into his strong arms and tell her it was all going to be all right. That he loved her and would never, never leave her. But already the gangsters were dragging Lois off him and hauling him into the car. Oh, God, how would Lois cope? Had she gotten a grip on herself? Did she have help? Maybe by the police? Or did she even have the presence of mind to call Perry or the police herself? Or had Al Capone lain hands on her? That thought stung Clark in his in fact unharmed heart and he couldn't take the uncertainty any more. Without wasting any thoughts as to how he could come to terms with the loss of his identity as Clark Kent, he levitated himself to make sure Lois was unharmed. He flew into the direction of the club, not too fast so as not to miss any relevant noises. Soon he had arrived at the scene of events and scanned the vicinity with his X-ray-vision without detecting any sign of Lois. At the sight of the spy-hole at the entrance of the club he once again heard Lois' voice saying "swordfish" and a small smile escaped his lips. He had to find her. She was his one true love, she was his life. She meant everything to him and he needed to make sure she was fine. So he started off into the opposite direction to search for her. Soon her voice reached his super-ears: "Clark!" He took off at lightning speed and tracked her down in no time. She stood in the middle of a deserted street in the port-side of town (how in heaven's name had she gotten so far by herself in so little time?) had her hands pressed to her head and shouted into the night sky: "Come back! Clark! Please!!! I love you!" Clark was stunned. He held his breath and his heart stopped beating for a moment. Incapable of moving, his only thoughts were "she loves me" over and over again. "Damn!" Lois' voice softened. "Why was I so stupid?" Her arms fell to her sides and her head sagged. "Why have I never told you? I've known it for so long!" Lois sank to her knees and Clark, even with his super-hearing, had great difficulty making out her last words: "Clark, come back to me..."
Clark was still unable to move, unable to grasp a single coherent thought about how to plan his next move. If she really loved him, wouldn't it be the easiest way to just tell her: "Lois, I'm still alive because I'm Superman and I love you too."? His heart called to him to do exactly that, but his mind told him this would either earn him a hard slap in the face or Lois would break down altogether. The slap he could live with, but he couldn't risk her breaking down considering her already weakened condition. Anyway, her condition! Clark had already stood for half an eternity rooted to the same spot and stared at the woman he loved who was lying unconscious only 50 yards in front of him in the middle of the wet street. A huddle of misery in a thin red dress. The sight of the ailing Lois on the cold ground brought Clark out of his dazed state. He was at her side in less than a heartbeat, touched her on her shoulder and tried to gently lift her up. For Lois history repeated itself. When she felt the touch she bolted to her feet and stared with wide eyes into the face of - Superman! "You???" My god, was she beautiful. Infinitely delicate and fragile and still so strong in her anguish and fury. Her hair disheveled, her face wet with tears, her eyes flaming. Her whole body shook with cold and untameable rage. Finally her thoughts became coherent again and she realized that he - Superman - was also entangled deeply in this mess. "Where were you? Why weren't you there? Do you realize what you've done?" "Me?" Clark was astonished. He had believed Lois would be happy to see him, would feel secure in his strong arms, would let herself be comforted by him. "Yes, you! You should have saved him!" "You failed! You failed us at the most important time in our lives! The one time you were really needed you weren't there!" With these words she fled blindly into the dark alleys again. Clark's attempt to hold her back was warded off fiercely. "Lois, please, let me explain something!" But she just ran harder, started sobbing again and squeezed a "Leave me alone!" through her clenched teeth. Clark tried again to make her listen, but it was in vain. Finally he seized the last resort he could think of: he caught Lois, held her in his arms and flew with her into the night sky. Lois shrieked at him: "Leave me alone! I don't want to see you! Let me go!" All the while struggling against his hold, beating her fists against his breast and shaking her head wildly. "Let go! Let me go!" "Lois, I have to tell you something..."
"I don't want to hear it! Superman, not that it concerns you, but I loved Clark! You don't understand what I'm going through right now! I've never told him..." This realization stopped her struggles and she buried her face in Superman's broad shoulder and she began to weep bitterly again. Clark didn't try to console her any more, just held her tightly but still tenderly, sighed deeply and flew with her through the night until she was fast asleep in his arms. Clark eyed the exhaustedly sleeping Lois in her rumpled state on her bed. She hadn't awoken when he flew into her apartment and laid her on her bed. As he had gently drawn the sheets over her body, she had once again whispered his name, full of anguish. Again, it hurt Clark immensely to see her suffering, but to assist someone in her nightmares was more than even Superman could do. So he just sat by her side and watched over her while she was sleeping. She looked haggard. Grey and old. Still beautiful, but the experiences of the last few hours had left their mark on her. "She really seems to love me. How I wished for that!" Clark hardly could believe it. Just a few short weeks ago she had rejected his love and agreed to marry Lex Luthor. He had then fled to the arctic waters and screamed in agony. Exactly as Lois had stood on the cold street today and screamed his name. Should she really love him as much as he loved her, it wouldn't matter why she had never told him and why he hadn't found the courage to tell her about his feelings. The only thing that mattered was to tell Lois the truth about his two identities and resurrect Clark Kent. His resurrection shouldn't be too hard if he had Lois at his side to help him. But to tell her the truth was going to be hard. Her vivid wit he had been admiring for so long would make it difficult for him to explain his actions. She would be furious when she realized that she himself had made the confession to him when he had pretended to be someone else. She would call him a liar and perhaps even retract her declaration of love, explain it away with her shocked state of mind after the shooting. Clark sighed. Gently smiling, he eyed the petite fury whose entire being he admired so much. Her uncompromising and sharp mind had taken her far in this life, but exactly that mind would make the upcoming debate hard to take. Well, he would weather that storm. The most important thing was to stop Lois from suffering, that she wouldn't have to bear the loss of her best friend any more. To achieve this aim, Clark wouldn't mind her being angry with him. Lois ragged breathing calmed, her face relaxed, and she seemed to have slipped into a deep dreamless sleep. Clark decided to go into the living-room and call his parents. He had to assure them that he was all right since they might already have been told by the police of the death of their only son. And besides, his mom would be able to give him some sound advice regarding this "women-stuff". Silently, he levitated himself out of the bedroom and after a last loving glance at the sleeping Lois, he closed the door. Even before Clark could pick up the phone, it rang. He quickly picked it up to avoid Lois being wakened. "Lois Lane's apartment?" "Kent? Is that you???" Perry White almost squealed. "No, Mr. White. This is Superman." Silence. Clark held his breath. Would Perry recognize the similarities between Clark Kent's and Superman's voice? But the director only needed a moment to collect himself. "The police have informed me of what happened. Where is Lois?" "Don't worry, Mr. White, I found her. She was pretty finished after Clark was shot. She's sleeping now." "Have you found out anything further?" "No, sorry. I had to choose between helping Lois or chasing the gangsters." "Okay. Thanks Superman. This is so horrible..."
Without another word Perry White ended the call and Clark sighed. He had been so concerned about Lois, he had totally forgotten how other people who were close to him would react to the news of his death. His resurrection needed to have top priority. But first he should really call his parents. "Clark! Oh God, son, what happened? 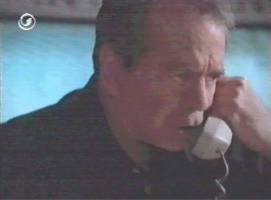 Perry White just called!" "Oh Mom, everything's so confusing..."
Clark told his mother the whole story from the beginning. He even mentioned the password, "swordfish". He heard her hold her breath as he described the shooting and his voice shook as he told his mother how Lois had screamed her declaration of love into the sky. Martha didn't say much. Clark had seldom seen her so reticent. He was used to his mom knowing an answer to all questions and a solution to any problem. Now she was silent for a moment. Then she began to speak haltingly. "Clark... well... the only solution is to tell Lois the truth, as soon as possible... You know already you can trust her... and if she really loves you, she won't be angry for too long. Especially not if she realizes the severity of your situation. She will understand when she realizes she has to help you with resurrecting Clark Kent without anyone finding out you are Superman. It would be best, if you tell her as soon as she wakes up, so that she doesn't have to suffer any more. And so that you can get to work right away." Clark knew his mother to be absolutely right. But... "Mom, I know all that. I just don't know *how* I should tell her. You can't even begin to guess how often I stood in front of the mirror, took off my glasses and told it "Lois, I'm Superman!" - it was so - unreal. It felt *wrong*. My subconscious tells me that there has to be a perfect moment to tell her. The same as for proposing." "Well, why don't you combine one with the other?" "Mom, please, don't jest, I'm serious!" "I do understand, son. But you just can't waste time waiting for the perfect moment that might never come. You don't know what will happen, maybe it will become essential for Lois to know your secret. You know, you should never part on a fight, never let important things go unsaid, it could be the last time you see each other." "Yes, I know. But should I really just tell her unromantically what's the matter?" "Well, Clark, you are both alone, you've got time, no-one's calling Superman, no-one's waiting for Clark and no-one is going to disturb Lois. What are you waiting for?" "Okay, I suppose you are right. I probably will only make it worse if I wait. Maybe Lois will even start to blame herself for Clark's death. After all, it was her who wanted to had to go to that club. I know Lois, once she starts to think straight again, she will have these thoughts." "My son, I know you'll do the right thing. You are the most considerate and conscientious guy I know, so don't brood about what you could do wrong - think about what you can do to make Lois feel better. And then think about your resurrection. I'll talk to your father about exactly that and you can call again later. Or you both fly down to Smallville!" "All right, mom. Thanks. Give my love to dad - talk to you later!" Quietly he replaced the phone and sighed. His mom was right again. There could be no better time than the present. He mustn't wait any longer if he didn't want the situation to escalate. If Lois hadn't fought with tooth and nail earlier he would have told her the truth then and there. It simply hurt too much to watch her suffer over his presumed death. Had she really said she loved him??? It already felt surreal. But since this was the night of revelations, he would make sure she knew how long he had loved her, that he never loved another woman the way he loved her and that he never would love any woman again as hard as he loved her. But first things first. Clark got out of his Superman-suit and decided that his underwear, a loose fitting T-Shirt and shorts, would have to do for now. He neglected wearing his glasses since he obviously didn't need them as disguise any more. He tousled his slicked back hair and silently opened the bedroom door to listen to Lois' breathing. She still seemed to be in a deep dreamless sleep and he decided to stay with her and not let her out of his sight until she awakened. Quietly, he lay down beside her, pulled the covers up to his chin and simply looked at her. His beloved Lois. Soon she would know the truth. She was worth it. She was the only person besides his parents he had always trusted. She alone could make good use of his secret for the better. Her intelligence, her flair and her ready wit would help include Superman even more effectively into the work of the team Lane & Kent. She, Lois Lane, was the right person to be the partner of Superman. These prosaic thoughts made Clark smile at himself. He knew himself to be right, but he also knew that this relationship could be described better by love and deep trust. Both were there, but expandable. A lot expandable. Clark still smiled at his joyous thoughts, his future with Lois which would begin soon - he was sure of that. And he enjoyed lying beside Lois. "Everything's going to be fine..." he thought as he sank into sleep, a smile on his lips. Lois knew she was waking up slowly. She hadn't dreamt, but knew at once that she didn't feel well. Something dark was lurking in her consciousness and had bothered her in her sleep. 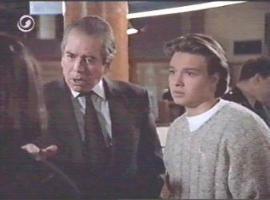 Suddenly the dire thoughts were there again and there it was again: the devastating knowledge that Clark was dead. Lois didn't make a move and pressed her eyes closed. Just don't wake up. Sleep deep and dreamlessly. Don't wake up and have to face the horrible truth. Lois tried not to think to keep from crying, she held her breath and concentrated on the blissful darkness into which she desperately wanted to return when she heard breathing. Slow, even breathing, somewhere close by. Carefully she opened her eyes to see Clark sleeping beside her. Lois instantly screwed her eyes shut. `This has to be a hallucination, I'm in delirium!' But the breathing was too persistent to be a dream. Carefully, Lois opened her eyes again and forced herself to look more closely. There really was a man lying beside her, sleeping, but it clearly was Superman. He had pulled the sheets up to his chin and was probably hiding his well-known suit underneath. Superman? 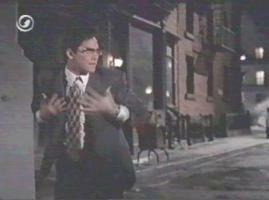 Right, he had found her when she was running through the streets, crying, after Clark had been shot dead. A sob threatened to lace up Lois throat, but she gulped it down. Better not to wake Superman, even he seemed to need sleep now and then, and besides, he also had been a good friend of Clark. He was probably as devastated as she was. Curious of Superman to condescend to lie down beside her. Half a year ago she would have been elated to find him beside her, but now she was pitying him and feeling a very deep solidarity towards him which had little to do with the love she held for Clark. Clark. My god, one could really take Superman for Clark. Sleeping he looked almost entirely human. Lois was confused. Now that her eyes had adapted to the dim light shining in from the street-lamp outside - it seemed to be nighttime - she could see more. Had she ever watched Clark sleeping? Had she ever really *looked* at Clark? Or Superman? Well, the man lying beside her was beautiful. Handsome was a very subjective category, but the face beside hers was by any standard beautiful. Especially his lips. She had already kissed those lips. 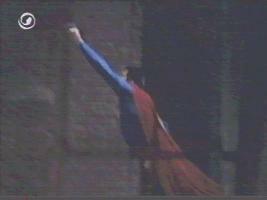 At the airport where Superman had gotten so much of that pheromone spray she couldn't resist taking advantage of him. She remembered this kiss very well, it had touched her deeply. Just like Clark's kiss had as he had decided to leave the city. When it was so hot Superman was considering leaving the city. She had been able to touch them a little while ago. Long and tenderly, because she hadn't been able to do so before, as the gangsters dragged her off Clark's body and hauled it through the door. It was the same lips. Clark without his glasses looked exactly like Superman. Why had she never seen this likeliness? Had the two men such a different mimic and way of talking that the similarities between them only became visible while sleeping? Were the two men she alternately loved and admired one and the same person? This realization hit Lois hot and cold at the same time. Hot, because it meant that Clark couldn't be dead. He was lying beside her, had always protected her as Superman and must have been planning to tell her when she awoke - she would probably be the only person ever to be told of his double-life. Cold, because she realized that Clark as Superman must have heard her confessing her love. She thought back to the time she had rejected Clark's love and then, when Superman stood before her shortly after that, she told him she would love him if he were only an ordinary man. Oh, god! What must he have thought about her! How embarrassing! And how many things made sense all of a sudden! No wonder Superman wasn't there to protect Metropolis from the Nightfall-Asteroid if Clark had lost his memory. No wonder Clark had wanted to leave Metropolis with Superman at the time of the great heat. He couldn't have been shot, he must have faked his death to keep his identity hidden. Suddenly so many things made sense, there had been so many times Clark ran off and Superman appeared. How often had he saved her life, even as Clark. There must really have someone tried to shoot her the day she almost was strangled by Finn. "Oh Clark, how often did I wrong you, how often did I hurt you. But you also hurt me. Always deceived me into believing you are two different persons..."
Actually, she should be angry with him. He had lied to her for more than a year, again and again. But Lois couldn't be angry with him, she loved him just too much, was too glad he was still alive. He had cared for her right away this night and was laying beside her to tell her his secret when she awoke. Why else should he be lying beside her? He could have dropped her off and gone on to do his Superman-job. But no, he had stayed. He had stayed with her to comfort her, to talk to her, to tell her his secret, to make her his partner. A partner strictly for business probably since he had told her only a few weeks ago after the almost-wedding with Lex Luthor that he didn't love her. Oh no. But that was something to think about later, now she was just glad that Clark was alive and that she didn't have to mourn him any longer. She loved him and nothing could change that, no matter what he felt for her. "Clark, I love you!" she whispered as softly as possible without noticing the single tear escaping her eye. Clark heard these words in his sleep and registered that he must unintentionally have fallen asleep. Lois must have slipped into a restless sleep again and must be dreaming of him. He forced himself not to move a muscle so as not to wake her abruptly and opened his eyes. He was caught off guard when he noticed that Lois wasn't sleeping at all. Her face was only inches from his and he gazed into her wonderful dark eyes, now clouded by a haze of tears. But she was smiling. She smiled and clearly said "Clark, I love you!" - what did that mean? Her smile was so unearthly beautiful, she didn't look cynical or taunting, no, she just beamed at him. That moment liberated him from all the anxiousness and worries of the last hours. The fear of her negative reaction, the anger over the loss of his identity and the uncertainty of how to carry on. She knew. She knew it all. And she was again one step ahead of him. This woman was a real phenomena. Oh, god, he loved her so much and in that moment of revelation, these dark hours of light he loved her even more. The situation made it easy for him to reveal everything that was burning in his soul. Better to tell her now than to wait for later when long speeches might destroy the lovely tension between them. Maybe she would then even take back her declaration of love. No, he would tell her now. "Lois. I love you too." Lois' heart stopped beating for a second. She had anticipated a jest about her investigative abilities, a sullen "I wanted to tell you myself! ", an apprehensive "How did you find out?" but Clark's declaration overwhelmed her completely. She felt the unstoppable tears coming and finally lost her composure utterly. She threw herself on his broad chest, looped her arms around his body and felt herself being held save in return. Now everything poured out of her. "Clark, oh, Clark, I was so stupid. I've already loved you for so long and I couldn't bring myself to admit it. And now I thought you were dead! Imagine you dying and me left behind, never having found the courage to tell you how much I loved you..."
The sobbing increased and her voice grew smaller. "I'm so sorry, Lois. It almost broke my heart to see you suffer so much, but you didn't want to listen to me. I wanted to tell you on the street that you don't need to mourn me, but I couldn't reach you. I apologize for treating you a bit roughly when I brought you here." "That's o.k.. Thanks. Thank god, you're alive. I thank Him for your existence. That He brought you to me." Again Lois started crying. Clark just held her and murmured soothingly until she rebelled against his embrace. She looked him laughing into his eyes and for a moment he feared she would become hysterical, but it was pure relief. "Oh Clark, look at me: is that the fearless, determined Lois Lane who has totally lost her grip on herself and is crying into your shoulder? What has become of me?" she asked with a mischievous glint in her eyes. "Become? You are still the most beautiful, most adorable and fascinating woman that I've ever come across. And I'm proud that I managed to make you speechless!" "Hey!" Lois thumped her fist into his side and he reacted playfully as if she had hurt him. "Ouch! Will you cut it off? I don't want a woman who's brutal!" Laughing, Lois thumped him again a few times and suddenly their faces had drawn nearer and both drowned in each others eyes. "Lois, I'm so glad that this hiding is finally over." No, words wouldn't do. Unnecessary. Too earthly. A transcendental air was palpable between them and when the tips of their lips met, the earth stood still. They wouldn't have to describe these feelings to each other later as they were both feeling exactly the same. It was an electrifying feeling which spread from their lips through their bodies to their toes, engulfing them. It was what they had longed for their entire life, this intensive feeling of rightness and belonging. Flinching as if a real electric bolt had hit them, they stared unbelievingly into each others eyes. Slowly, first feather-light, then hungrier and ever more intensive, they kissed again. The thought "I love you as never before..." was drowned out by the sheer need of the kiss. There were answers for questions, thanking for asking, giving for taking. In this kiss which lasted only a minute there was more getting to know each other than in hours of talking. Both were aware of this deepening bond and appetent to let themselves be totally consumed by it and to make this dream come true. Breathless, after seemingly endless minutes, they paused and gazed into each others’ eyes. "So this is it." Lois said in a dry manner, as if she had to defuse the tension a bit, but Clark didn't recognize this undertone. "Oh god, how long have I dreamed about this. Thanks for being there!" Desire had given way to contentment and Lois and Clark were now lying entwined on the bed, each trying to clear the mind to make room for the reality and a clarifying situation amidst the overwhelming love they felt for each other. It was Clark who broke the silence. "Lois? Is everything all right between us?" A gentle chuckle was the first answer, then she clarified: "Well, I have a lot of questions to ask. And a few bones to pick with you - Superman. But... I know I'm happier than I have ever been in my life and I'm trying to steer my thoughts to the problem at hand: Clark Kent mustn't stay dead! Clark, I *need* you! As my partner, as my friend, as my - ordinary - well, - man. I don't want to be the prime target as Superman's concubine, I want us to lead a normal life. And therefore you have to be resurrected, no matter how." "You want to share your life with me?" A small knowing smile on Clark's face brought the "old" Lois back for a second: "Hey, Kent, don't be smug!" Instantly her face grew earnest again. "Yes, I think that is exactly what I want. What I have searched for all my life. And we will talk about it as soon as we take care of this miniscule problem. So, what are you suggesting?" "Lois, I've already phoned my mom. Why don't we just fly over to Smallville and talk it over with my parents?" After a short moment of astonishment, Lois gave the answer herself: "Of course, your parents. They know everything, right?" "Certainly, Lois. My parents are - besides yourself, that is - the most wonderful people on earth." "And I believe, you wouldn't be the man you are if not for them. Just think about what havoc a man with your powers could cause! You grew up with people who imparted the right values on you, so that you could do only good as a grown man. How and when did you come to be raised by the Kents?" "That is a very long story. What do you say, first we sleep and then I'll tell you everything tomorrow morning on the flight to Smallville? I'll tell you how I came to the Kents, how I came to be Superman and what your role in the creation of Superman was." "Yes, of course! But I'm also very tired. So much has happened today. I think you're right. I will sleep a lot better now that I know that you're alive and that you love me..." Their eyes met and they both smiled at each other. "May I sleep in your arms?" Without a word Clark put his arms around her, waited until she was cuddled comfortably against him, and kissed her good night. "Oh Clark, to be lying... here... with you... without... that is... so... magical.........."
The sun was shining through the window and bathed the entwined pair in her golden light. `The sun is shining so friendly, one could think nothing has happened, that we are on vacation and that there are no dead to resurrect,' Clark thought to himself. He had been awake for quite some time now, but hadn't moved so as not to wake Lois. Yesterday had been a very exhausting day for her with that big shock and the revelations, and since she was lying against him he couldn't get up. But instead of thinking about how to solve the problem he just thought about Lois. What great luck he had. Actually it was paradoxical that he first had to "die" for them to come together. How long two people could live side by side with each in love with the other without realizing it or admitting it to themselves. That this long time had probably been necessary for them to build this wonderful trust between them. What if they had realized earlier? It would probably also have worked out, but it would have been different. Clark had always felt a special bond towards Lois that he wouldn't have been able to describe if pressed. It surpassed the normal feeling of understanding and shared interests by far. It was as if they were destined for each other. As if fate would have thrown them together even against their wills. He had always felt this, but had dismissed it as wishful thinking or fantasy. Today, last night‘s words still echoing in his mind, he was sure his feelings hadn't deceived him. Nothing had ever felt so right. Somewhere above there must be a higher power watching and supporting their love as there had been no single cry for Superman the whole night through - and that hadn't happened for months. 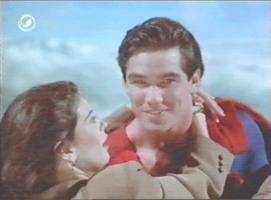 Realizing that, Clark had to sigh and couldn't resist planting a kiss on Lois' hair. Lois lolled with a growl and awoke with a start when she realized where she was. She squinted into the sun and turned abruptly to the man holding her with strong arms. She gazed wonderingly and lovingly at Clark. "The resemblance between you and - you - is so obvious, I could kick myself for not noticing! You - you are so... so... radiant." Clark was really beaming by now. "And you are so beautiful!" He framed her face with his hands and gave her a long and sensuous good-morning-kiss. This kiss wasn't as demanding and electrifying as the kisses last night, it was more an exchange of deep understanding, a promise of deep, pure, never-ending love. Again both were reluctant to release the kiss or each others eyes, but this time it was Lois who took the initiative. Both rose with vigor to avoid their sticking together again and both had to laugh at their verve. "Oh Clark, I'm sure we can solve that problem. Together we can do anything we attempt." "Yes, I've always felt that I could achieve more with you than alone - despite my powers." "Really?" Lois gazed astonished and questioningly at him. "Yes, Lois, really. It's not only the values my parents taught me and the powers this yellow sun gives me. You quickened my imagination from the first moment I could share with you. You gave me the idea to create an indefeasible Superman who could use all his powers openly. You were the one who inspired and motivated me with your determination, your logic and your admittedly sometimes unorthodox methods I would never have suspected in you!" "So that's it. The perfect symbiosis. Why didn't we make up earlier?" "You'll find it amusing, but that was just what I was thinking when you were sleeping. Hmm, well, I'd dare say it wasn't me!" "So? Weren't you the one who told me you didn't love me, that you only told me so that I wouldn't marry Lex?" "That was a lie, Lois." "I just wanted to have you back as my good friend and partner and was too afraid you'd reject me." "And that's exactly what I would *not* have done. I was just about to confess that I had called off the wedding because of you. I had turned down Lex in front of the altar, it wasn't the others who prevented the wedding, it was the love I felt for you!" Clark stared dumbfounded at Lois. His thoughts were racing. He recapitulated the events and feelings of this hard time and he wasn't sure if a bit more sensibility on his part would have made things turn out differently. It had been very hard for him not to give up everything, not to throw away his life in Metropolis. It had been hard for him to convince himself that she was too precious to him to lose. He had stayed and concentrated on overcoming his own anguish. Now he had to deal with the fact that this time had been just as hard for her, maybe even more so, as for him. "Did I hurt you badly?" "Oh Clark, I can't say any more. Probably. But that's not important. I'm the happiest person on earth today and we have so much time to come. Time to share our feelings, time to answer open questions, time to share the past and discuss situations that seem so different now. Oh god, how often have you saved my life! How often have I played you off against yourself or compared both parts of you or done who knows what! I'm just glad it's over. I'm glad I can finally learn more about your odd life and help you as someone privy to your secret. And I'm happy to share my life with you." "Lois, you're awesome. I was afraid you'd be mad because I'd lied to you for so long. I know how angry you can get, and now you're surprising me with a calm and rational head in such an emotional situation." "I'm just glad that you're alive. And to make that fact official, we still have a lot to do." It took Lois only a few minutes to freshen up, change clothes and pack a few necessary items. 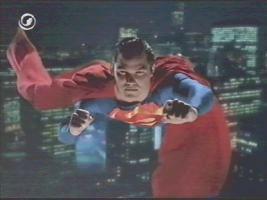 Clark - as Superman - phoned Perry White and told him he would take Lois to Clark's parents to recuperate. "You are going to fly like this?" "No, of course not! Look! I've always wanted to show you this." Clark spun into his Superman costume in an whirl of red and blue and then he was standing in front of her - Superman. In his whole splendor. Lois, speechless, only managed an amazed "Wow!". His costume made him appear a lot larger. Aloof. But something was different today. Right! His air, the way he gazed at her, his movements and even his speech. "Shall we, Lois?" That was definitely Clark. Unequivocally Clark. Lois had to laugh. "You're a great actor, you know that, Clark Kent?" He took her into his arms as he had done so often before and flew with her through the window. "Well, it takes more than to just don a pair of tights and hope that they will distract everyone from the face of the wearer. I think you are deceiving people with your totally different stance and way of moving when you are wearing your costume. Your way of talking and your gaze is so - different." "My dear investigative reporter is very observant again. I'd bet you'd have found out on your own very soon. And I'm glad you found out. After all, you *are* Lois Lane. I wouldn't have trusted anybody else to make the connection - and I'm glad you spared me having to confess to you!" Lois laughed. "I don't know if it is because I'm an award winning investigative reporter. It's actually very simple: I love you and have watched you therefore differently than others might have. And I love to go flying with you!" Held securely by his strong arms, Lois had cuddled her head to his neck, closed her eyes, relished the wind on her face and generally felt safe. She was several meters in the air, totally dependent on the strong arms that held her - totally at the mercy of someone else. Not something she could usually stand. Her independence had always been a big issue for her - and now she was savoring the fact that she was dependent on a single man. Not any man. The strongest man on earth. An alien, so foreign and still so familiar. The man she loved. Had always loved. A fact she had realized very late, but thankfully not too late. "I also love flying. I started kind of late with it - at 18 - but did it regularly ever since. It helps clear the mind. You know, it's no picnic to find out as a child that you are different from the others. That you can never show off the difference if you want to belong. For them and for yourself. My father always told me that if anyone found out they would imprison me in a laboratory and dissect me like a frog. That made a lasting impression on me. I swore that no one would ever find out about me. Until I met you. I realized from the first moment that you are special. That sharing my life with you would be the greatest gift I could ever be given. It is a great relief not to have to carry this burden alone any more." "Sure, they were always there for me - but they are *just* my parents. Every bird escapes the nest and builds its own. That wasn't a problem for me, but I knew I could only live a real life if I could share my secret with someone. The woman I love." "And the woman that loves you is very proud to have been chosen to share your burden." The flight to Smallville didn't take long. Clark was of course flying slower than he would have if he'd have been alone and so he could use the time to tell Lois the tale of his origins in as much detail as possible. After little more than a quarter of an hour they arrived at his parents’ porch. The farm was far enough away from the next houses - otherwise others would probably already have realized that Superman was visiting Clark's parents quite often. His parents, knowing the sound their son made when arriving by heart, opened the door and approached them. Jonathan greeted his son by clapping him on his shoulder with a worried face and Martha hugged Lois. "Oh, Lois, I'm so glad you finally belong to the family!" "No buts! You belong to Clark and thus you belong to us. It's that simple. And now, come on in!" Lois grinned inwardly. 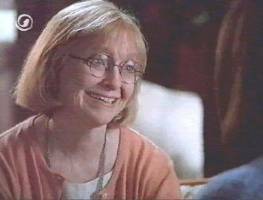 Even during her first visit to Smallville she found Martha to be a very clever woman, who saw through her interlocutor and didn't care about embarrassments. Knowing the whole picture now, Lois realized that Clark's mother had a lot to do with Superman only using his powers to do good. 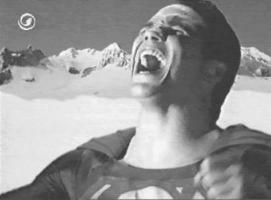 Jonathan Kent was more serene, but when he said something it sure had rhyme and reason. And he had a knack for problem solving. Lois was glad to have been received so warmly and already felt like she belonged - and that was what she told the Kents. "Thank you! I think you did a great job to help Clark become the hero..." - that earned her a stern look from Clark - "...he is today. I guess the biggest influence on him was your upbringing. Your high standards." Martha laughed and extenuated Lois' words by saying "Well, honey, you won't believe this, Lois, but your influence on him is at least as big as ours." "Mine? But I've only known for a few hours!" "Believe me, a mother senses something like that. Since he's known you, Clark finally had a goal to his life. Before, he was drifting along, perambulated the whole world, worked here and there and helped people. But for him to be really effective in doing good he had to meet you and become Superman. And his love for you, the strength of your friendship and trust, that's what gave his task the right direction and purposefulness." Lois was speechless. She glanced reflectively at Clark who returned it with a loving gaze and sat down on the sofa. That she would have had such an enormous influence on the supernatural being of Superman who had saved so many people's lives was news to her. Sure, in hindsight she had always had a strong connection to Clark and to Superman - which was only logical since she knew now that they were one and the same person, but even before that she had had more influence than she could ever have imagined. She had felt the friendship grow with the professional partnership, but the tensions she had only begun to realize when she began feeling more for Clark. Clark had been attractive from the beginning and her infatuation with Superman had really been quite embarrassing. God, she sometimes really had behaved childishly. Awaiting him in her nightgown for example to ask him if their relationship stood any chance had really been a cockeyed move. How often had she offended Clark's sensibilities and in the next moment made eyes at Superman! And how decent had he behaved! He could have taken advantage of her any time, especially the day they all had been sprayed with the pheromone when she had practically thrown herself at him. And last night, when he just lay down beside her. Every other man wouldn't have done that without a certain intent... How had she inspired him? With her fits of temper and ambition? Her purposefulness and quick-wittedness? Had she maybe even inspired him so much as to distract him? That he helped her with small mishaps while he could have saved someone in real danger? Was she maybe even responsible for something because he cared so much for her? ... Could it be that her relationship with Clark was a bad thing since it influenced Superman and could hamper him in his work? Drowned in these sad thoughts, Lois had retreated into the deepest recesses of the sofa and become totally oblivious to what was happening around her. Clark stood in front of her with a cup of hot tea and watching her worriedly. "You are looking so doleful, has something happened?" "Oh Clark, I just had time for some depressing thoughts. If it is fair to the world for me to get into a relationship with Superman and keep him from his responsibilities..."
"Oh, honey!" It was the first time Clark called her that and Lois's mood improved instantly. He put the cup on the table, sat down beside her and took her into his arms. 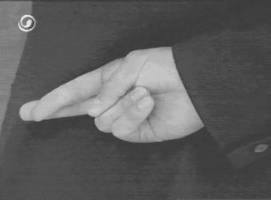 "Shall I tell you the truth? I believe Superman can only become better if he knows that someone is waiting for him at home who loves him." Lois had to smile again and looked at the man at her side. "You are my inspiration, Lois, my stronghold for which life is worth living, my love for which it is worth to risk everything. So. Now I have to fly to Metropolis to try to apprehend those twerps." "Yes, I just talked to my parents that I first need to find that gang. Dillinger was caught coming out of a cinema, maybe I can find him there again. And you can all try to figure out a way to resurrect Clark Kent." "O.k.. You'll call as soon as you learn something, all right?" A short but intensive kiss ended their conversation and Clark jumped up. This time his answer was just a smile and Lois didn't expect more. She was glad their relationship was so understanding even if it was only a few hours old. With the well known whoosh Clark made his way back to Metropolis and Lois got up to go into the kitchen to talk to Martha and Jonathan. Clark didn't call, but it was less than three hours and he was back in Smallville where he had to give a full account. "Well, I really could apprehend Dillinger coming out of the cinema. I had to throw him from a rooftop to get him to tell me where I could find Capone, Bonnie and Clyde. They were all assembled at Professor Hamilton's and were on their way to disrupt the party at the Planet. Really disrupt it, since they all bristled with weapons." "The Planet is holding a party???" Lois was shocked. "You know Perry, Lois. I guess he ordered the party to be held, maybe even to commemorate Clark Kent. Maybe we can get there in time to prevent the funeral-speeches!" "Yes, Clark, we've been thinking..."
"No, Lois, wait. Let me give you the rest of the account first. The police came quickly and arrested the gangsters and Professor Hamilton. I think they'll release him soon - he probably didn't count on his experiments going quite that way. Before he was taken away I had to promise him to destroy his laboratory and all his notes so that no-one can do mischief with it. I took the opportunity to take a quick look at his notes and that gave me an idea. We'll just say that Superman found Clark's body when they got rid of it and froze him with his super-breath to prevent the degradation of his tissue. Then he took him to Hamilton's lab and followed the instructions in the manuscript. Thus he could resurrect Clark and it is as if he had never been dead." "Great, honey, everybody will believe that!" Now it was Lois' turn to combine the facts and present the solution. "We don't have to stray far from the truth. Superman found me and brought me home but couldn't calm me down since he didn't know yet if the experiment with Clark's dead body was successful. That's when Perry called, and Superman couldn't tell him either of course. When I was sleeping, Superman got Clark out of the lab and flew him to Smallville to reassure his parents, who wanted to see their son with their own eyes to be able to believe that he wasn't dead. They wouldn't have believed such a miracle over the phone. Then Superman had to get me and break the news to me slowly and fly me to Smallville. Our reunion was such a miracle that we needed a few hours to come to terms with it and sort out our feelings. And that solves another problem: nobody will wonder why we are suddenly a couple! That's brilliant!!!" Lois laughed out aloud and alternately hugged Clark, Martha and Jonathan. Finally she sank into Clark's arms and kissed him. So was so happy, she didn't even care that they had an audience. Martha and Jonathan smiled and patted their son appreciatively on the shoulder. "You two are a great team! That'll work out!" and Jonathan added "Yes, that's a much better solution than what we came up with." "Right, what *did* you come up with, by the way?" "Well, it's not that original, but we were thinking about a cigarette-box or a mobile phone in your pocket which deflected or absorbed the bullet. We could have constructed the evidence somehow, but your solution is much better - especially in view of the time-gap. But it also means, you have to fly back to Metropolis right away to get there in time to keep the party from turning into a funeral service for Clark Kent." "You are right, mom! Well, then, let's get going." "But we'll come back soon, won't we, Clark? I really enjoy your company and with the Superman-express you're not that far off the beaten track." 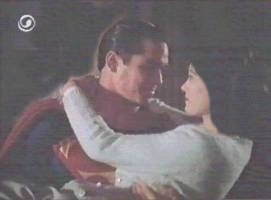 Without much ado, Clark took Lois in his arms and flew with her to Metropolis. Martha and Jonathan stood for a while on the veranda and waved them goodbye. "What do you think, Martha, when can we expect them to get married?" "Oh, Jonathan. I've always felt that they belong together and now they also feel it. I hope fate won't throw them too many curves..."
The flight back to Metropolis was even better than the one to Smallville only hours before. Finally Lois and Clark could relish their togetherness. They hadn't had much time for affection and none for the many questions still open. But both were very happy that they had made up so fast and knew they'd have all the time in the world to clarify matters, to learn more about each other, to love each other. They didn't speak much, just clung together as if they had to catch up on what they had missed as simple colleagues. In the secure mantle of the night they touched down on the roof of the Daily Planet and Clark spun into his normal clothes, a procedure which didn't cease to amaze Lois. "That'll take a while to get used to. What else amazing can you do that I don't know about?" He hugged her close to him without warning and gave her a kiss. Wild. Rousing. Passionate. And so claiming that her knees threatened to give way. She almost lost her senses with the insistence of his kiss and the feeling of his hands on her body. He held her with his strength, supported her head and thus multiplied the sensation of the kiss a thousandfold. 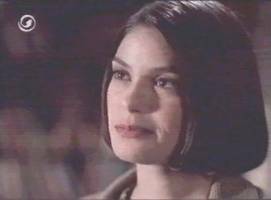 Soft shudders ravaged Lois body and she answered his longing with a fervor she didn't know she possessed. She hadn't known the power a single kiss could have, that one man could capture her with a single kiss so completely. In this moment he could have had everything from her. She would have obeyed every command, spoken or unspoken, and still felt as wonderful as never before. The bigger was the shock of separation, when he finally pulled away from her lips. He gazed deeply into her eyes and smiled happily. It took a while for her to focus on the here and now, so taken was she by his kiss. "Oh, Clark, what are you doing to me?" "Please don't ever stop, o.k.?" "I won't, ever. I promise." For another few seconds the world seemed to stand still, then they had to separate from each other and make their way downward. You couldn't say that the party was in full roar. All colleagues were standing in small groups, glasses or sandwiches in hand, but it was depressingly quiet. There were only low voices, nobody laughed or tried to lighten the mood. 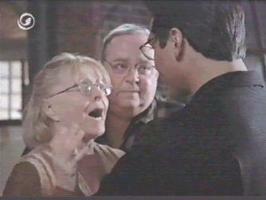 Lois and Clark had stepped out onto the gallery and surveyed the mourners. It took half a lifetime, but then everything seemed to freeze. One after the other turned around to the gallery and stared at Lois and Clark. Until a young voice broke the silence. Jimmy ran up to Clark and threw himself into his arms. "Oh, god, you're alive! I don't believe it!" Perry White also almost lost his restraint. "Clark, son, you're going to have a lot of explaining to do!" 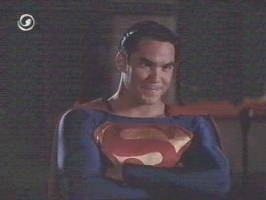 Shaking his head he looked from a radiant Lois to a smiling Clark. "How did you two manage *that* miracle again? You're unbelievable!" Suddenly the relief was palpable and talks sprang up again. But nobody dared to disturb the small group around the chief editor and the newly resurrected Kent since everyone knew they would have to await the next edition of the Planet to learn the solution to the mystery. That situation led to many rumors springing up over the evening. The foursome used the shift of attention to escape the party into the lift. 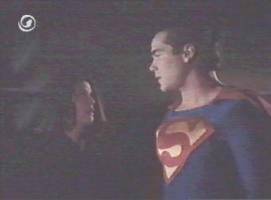 There Lois and Clark told Perry and Jimmy the short version of what had happened, and how Superman had been able to save Clark's life. They promised to hand in the story by tomorrow morning and said their goodbyes to rest from the excitement. Perry and Jimmy were overwhelmed and relieved and made their way home together. Finally alone again, in the darkness of a back street behind the Planet, Clark changed into Superman again and hugged Lois for a brief but intensive kiss. "So, Lois, how about us? I know we should get your car from the club, but I'm ready to drop." "You are tired? I thought, Superman didn't need any sleep." "Of course I have to sleep, Lois. I don't need as much as others, but I still have to recharge my batteries sometimes. You know what? Being dead isn't exactly a picnic! I didn't have that much sleep before all this, and I'm really tired. Imagine me falling asleep in your car and not listening to some important things you want to tell me!" "You are right, I'm also tired. So how about flying us to my apartment and lying down on my bed together? Just like last night? I could really get used to this!" "Oh, Lois, I had hoped you'd say something like that. There's nothing I'd rather do. To sleep securely in your arms, knowing we don't have problems to solve and especially - knowing that we love each other. "Yes, Clark, we're in love with each other. Isn't that wonderful?" Without another word, Clark took Lois in his arms and disappeared with her into the night sky.